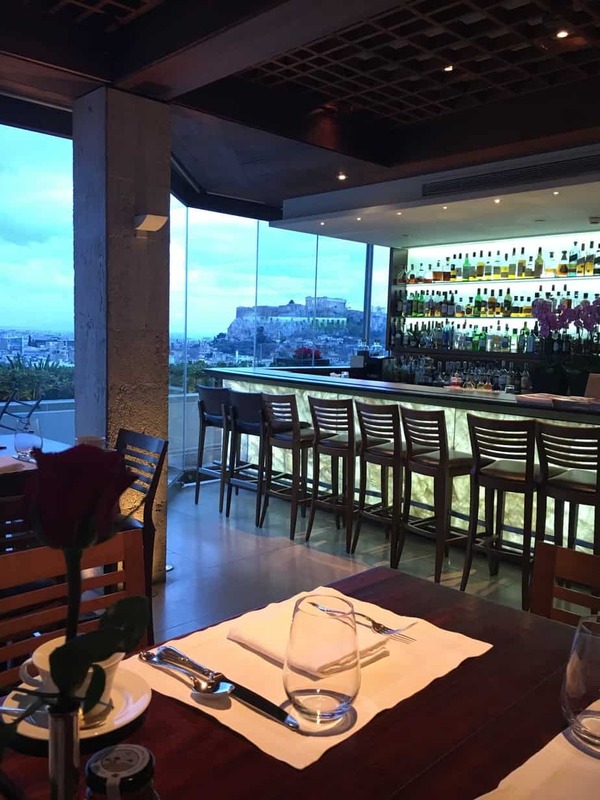 On a recent visit to the island of Santorini, the trip home found us staying one night in the amazing city of Athens, Greece. As it was not our first visit to the city, we didn’t feel the need to rush around and see all the sights. Instead, we were able to relax at our hotel and wander the neighborhood. 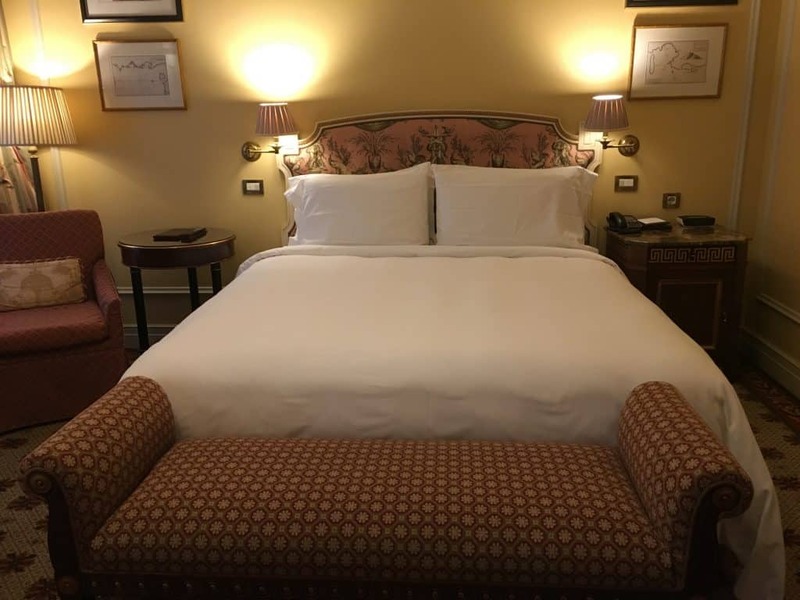 We had the pleasure of staying at The Hotel Grande Bretagne. The hotel is a member of SPG- Starwood’s Preferred Guest program and is part of it’s Luxury Hotel Collection. As soon as we stepped into the hotel, I fell in love with it! We have done a lot of traveling over the years, and this hotel ranks towards the top for luxury and beauty. Hotel Grande Bretagne has a lovely rooftop restaurant and bar, known simply as the GB Rooftop Restaurant and Bar, from which one can sit and enjoy an evening dinner and/or cocktail while gazing upon the famous Acropolis, lit up on a hill across the rooftops of Athens. 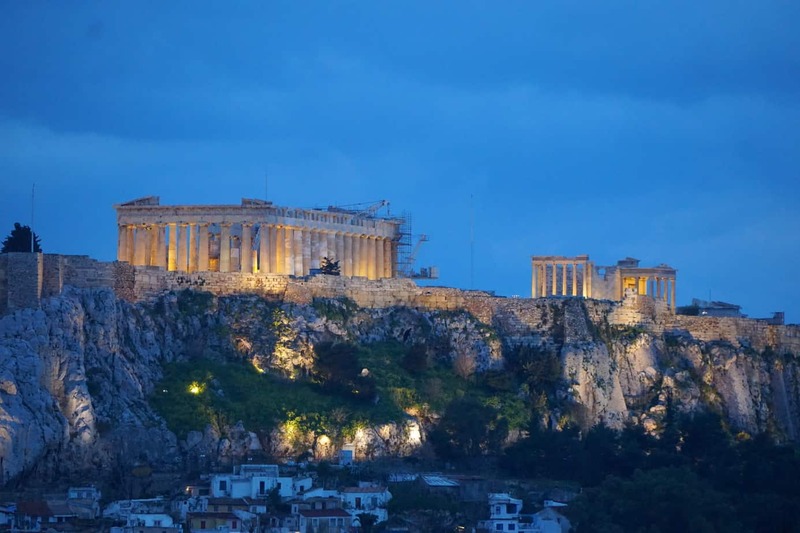 Of the ancient buildings contained within The Acropolis, the most famous is the Parthenon. The Parthenon was a temple built to honor the goddess, Athena. The initial work on the Parthenon began in 447 BC. And from the vantage point of The Hotel Grande Bretagne, it glows and invites one to dream of all the history that has happened in that spot and in the city below. One can even step outside of the rooftop garden bar if the weather so permits. 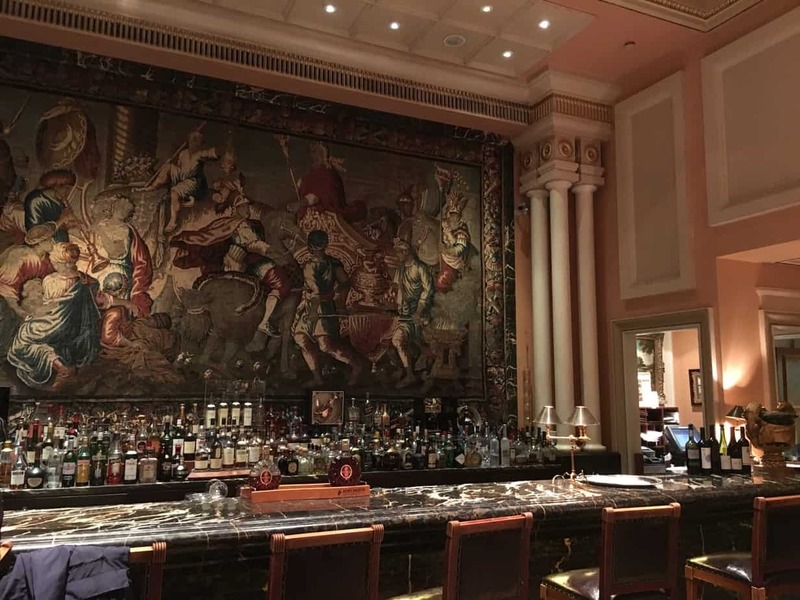 To sit in the bar of the Hotel Grande Bretagne and see The Acropolis lit up and hovering above the rest of Athens is a site one won’t soon forget. For more information on the Acropolis please see whc.unesco.org/en/list/404. 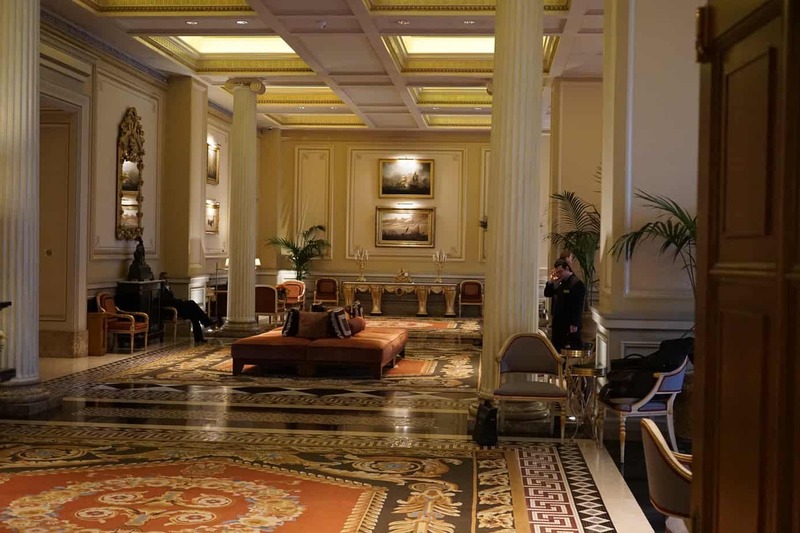 The hotel itself has been around since 1874 and is an excellent location for wandering the shops, museums, and restaurants that line the streets. Even on a rainy night such as the night we found ourselves there, we were able to dine outside as many of the restaurants had awnings and outdoor heaters. It was amazing just how bustling a rainy night in Athens could be! 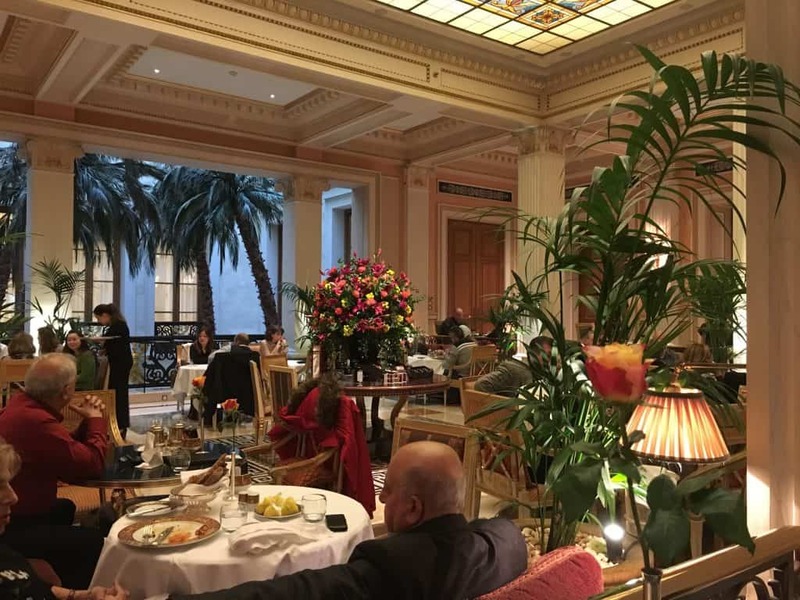 Though we were only there for one day we decided we must try the Afternoon Tea in the hotel’s beautiful Winter Garden restaurant. We have experienced High Tea/Afternoon Tea at some amazing spots… from the Fairmont’s flagship hotel in Victoria, Canada to the Mandarin Hotel of Tokyo, Japan, to the Red Coat Cafe in Edinburgh Castle, Scotland and even at a small tea shop known as Pippa’s in Port Townsend, WA -the small Victorian seaport town my husband grew up in. Each has been a unique experience and each has been wonderful! When we spotted the offering on The Hotel Grande Bretagne, we instantly said, “let’s do that!”. 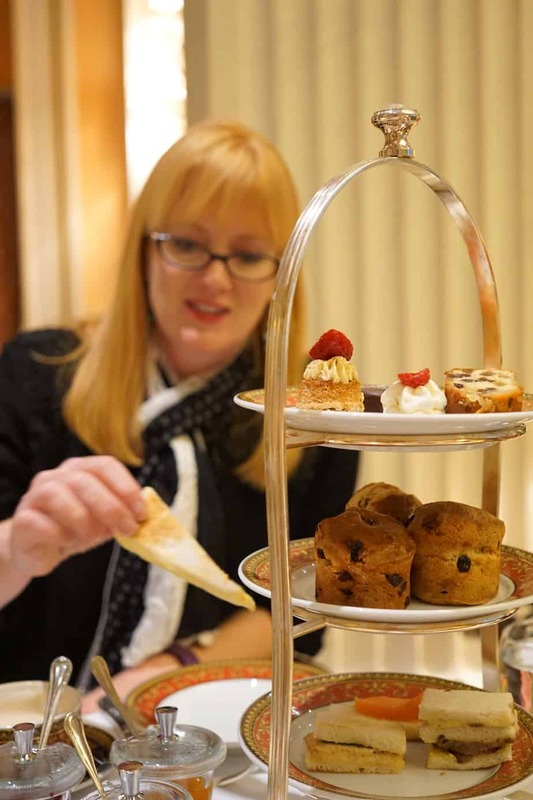 If you’ve never experienced Afternoon Tea, give it a try! Though you’ll see it referred to as High Tea in some places, in England it is well known as Afternoon Tea. ‘Afternoon Tea’ is, in fact, the proper term for elegant teas. 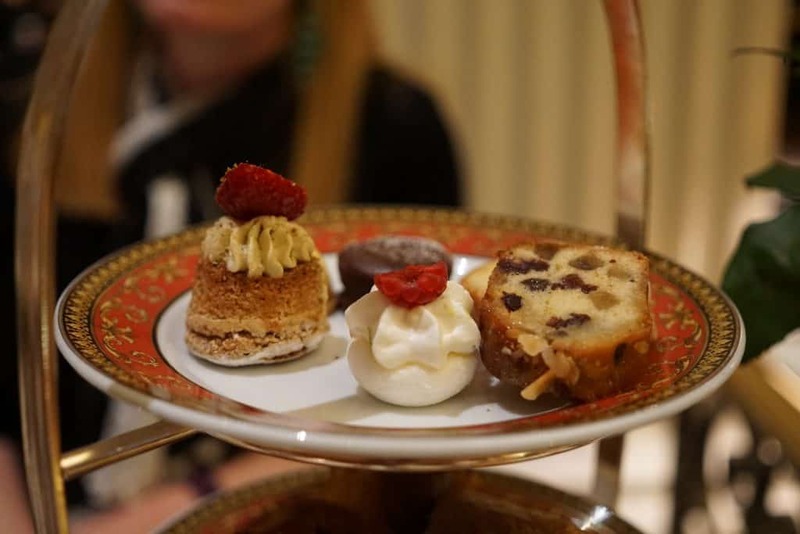 And though the term ‘High Tea’ is often used, it was traditionally given to a meal the working class took at then end of their workday at a high table around 5 pm. Whereas Afternoon Tea was typically served in the mid-afternoon and was traditionally served on low tables. It included a lighter fair consisting of small delights like scones, finger sandwiches, and marmalade. And of course, tea. For a great article on the history of Afternoon Tea please see www.thespruce.com/high-tea-vs-afternoon-tea-765832. Now, back to the Winter Garden restaurant! The tea they offer is of the ‘elite’ sort. 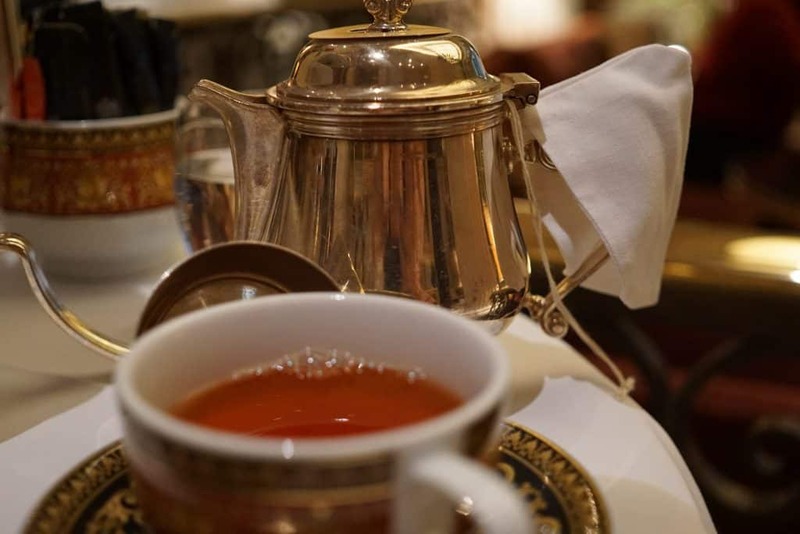 It is served daily from 12:00 p.m. to 8:00 p.m. One can select tea from a collection of the finest teas which are accompanied by delicious sandwiches and wonderful sweets. If you like, the Winter Garden also offers breakfast, light lunches, and dinner. The space is beautiful. It is set in a light-filled atrium with a huge bouquet of fresh flowers in the center and elegant furnishings. We found the atmosphere just lovely and very calming. 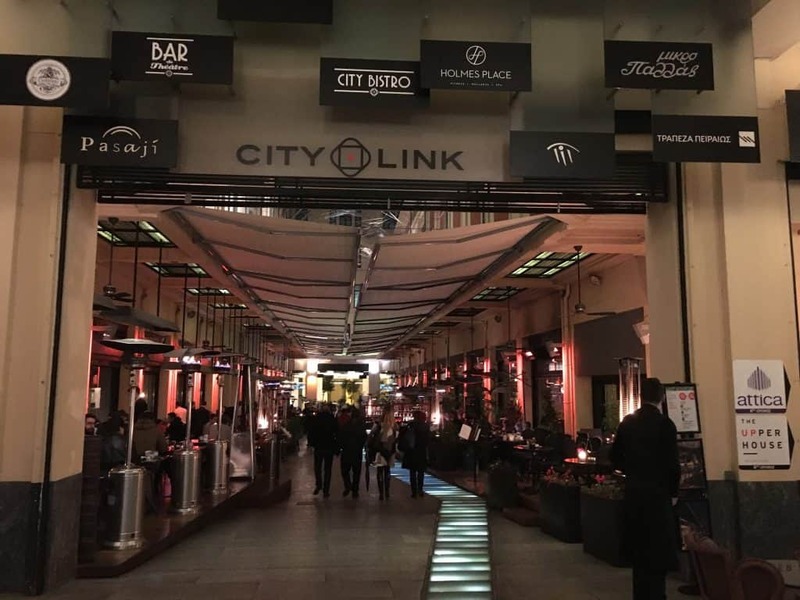 For more information please see www.gbrestaurants.gr/en/winter-garden. Whichever restaurant one chooses to eat at while staying at The Hotel Grande Bretagne, be sure to try dessert! The desserts are made by the famous French pastry chef Arnaud Larher. He was elected one of France’s best pastry chefs when he was only twenty-eight years old! And at thirty-five he won the title of ‘Meilleur Ouvrier de France’ (best craftsman in France)! And yes, Arnaud does the desserts that are part of the Afternoon Tea. 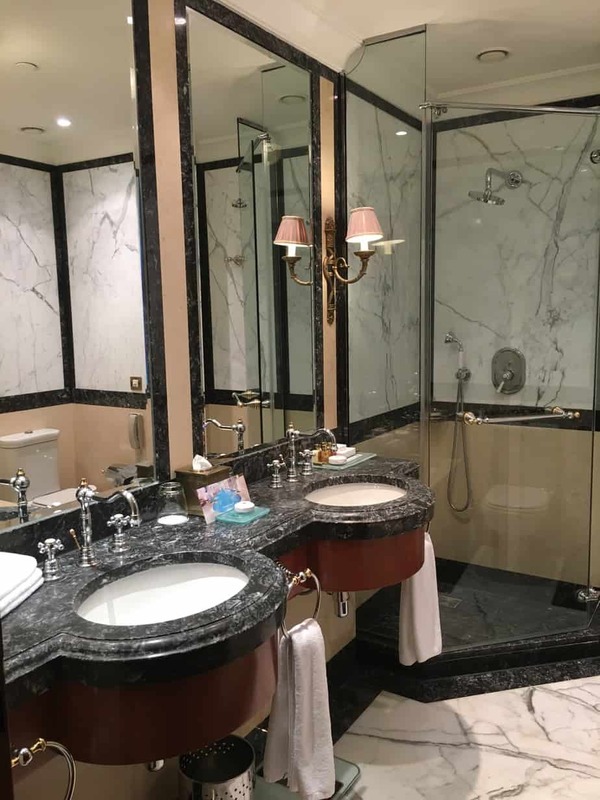 The Hotel Grande Bretagne also boasts a spa where one can get a massage or beauty treatment or simply indulge in the Thermal Suite. 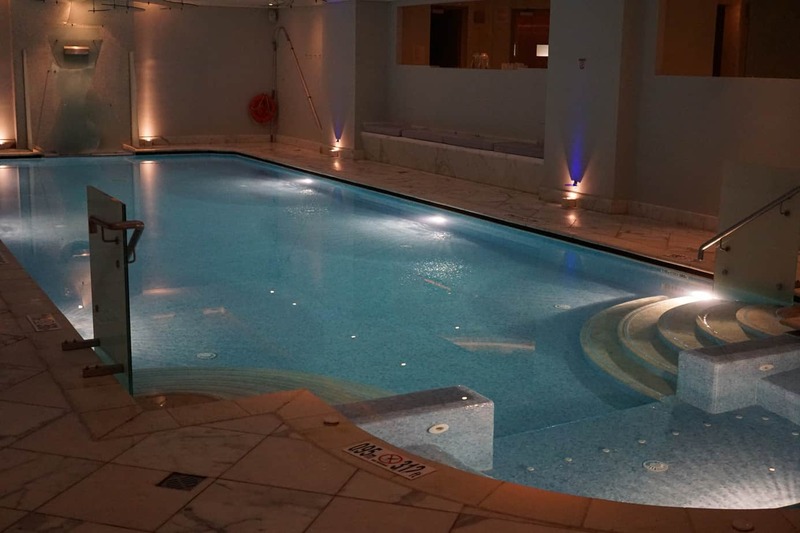 The Thermal Suite is a heavenly oasis in the center of the hotel complete with loungers and a contemporary pool that one can enjoy when the weather isn’t conducive to visiting their outdoor pool. As for rooms, The Hotel Grande Bretagne has a range to choose from. We were in one of the more ‘basic’ rooms (i,e, not a suite), but there was nothing basic about it. The room was stunning! Lush curtains, a gorgeous headboard and bedding and the most comfortable bed- I wanted to take it home with us! For a complete listing of the room options go to www.grandebretagne.gr/rooms. 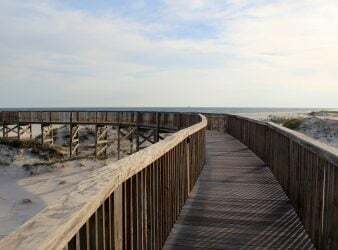 This stunning hotel offers everything from 24 hour butler service to a gift shop that offers an exclusive selection of products with the hotel’s signature. They have a friendly attitude toward children and even offer 50% discounts for children’s dry cleaning services and baby sitting services. The hotel also boasts a wine library in which all 3,500 wine labels housed in the hotel are showcased. 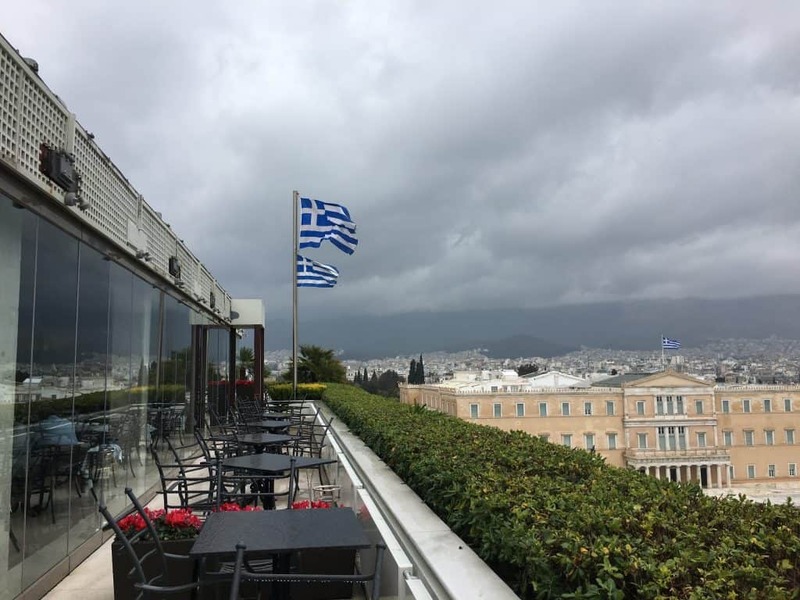 If you are looking for an unforgettable stay while in Athens you cannot do better than The Hotel Grande Bretagne. 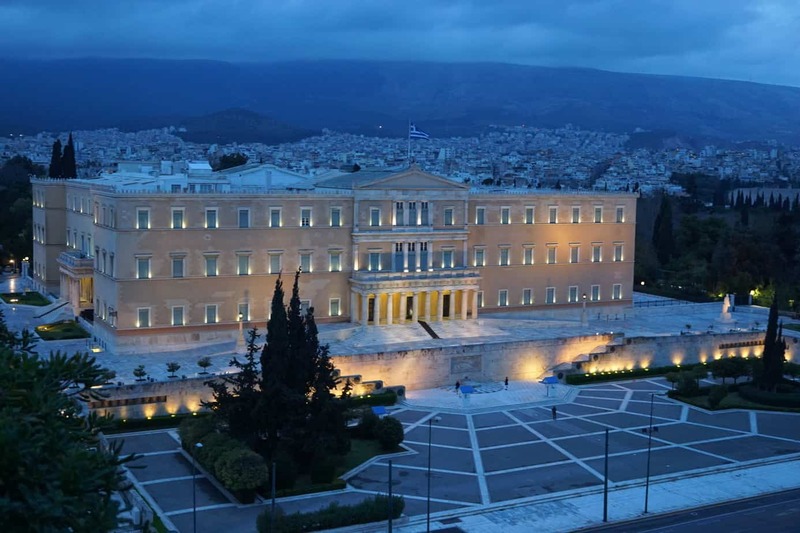 For more information please visit their website at www.grandebretagne.gr. You can also book with our affiliate link through Agoda which helps support the site. Starwood introduces smartphone room key replacement. 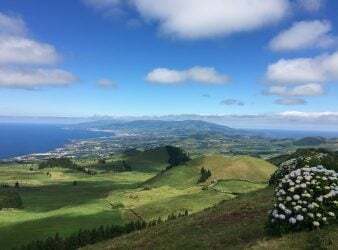 The Island of Sao Miguel—A visit to Portugal’s Azores.